A coyote brought in to the Palm Valley Animal Center in Edinburg is seen caged on May 15, 2018. Running an animal shelter presents unending challenges, especially in a community that doesn’t treat spaying and neutering as an essential requirement of pet ownership. Kitten Season poses one of the greatest of these challenges. 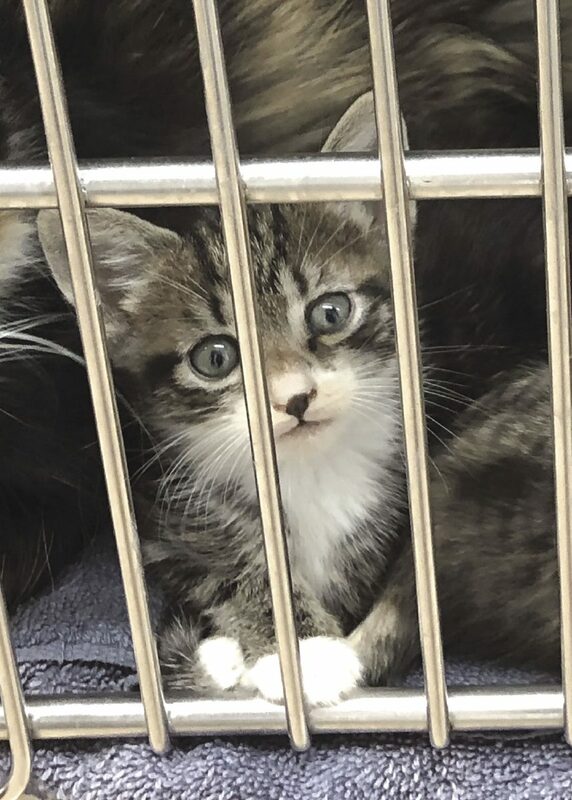 Cats, and especially kittens, have always been the most vulnerable animals coming in to any shelter, and this spring’s intake has broken all records. 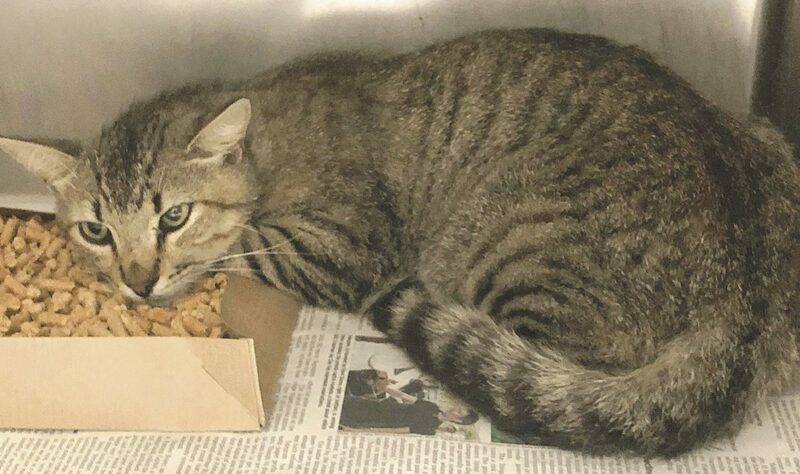 Just in the first three weeks of May, Palm Valley Animal Center (PVAC), in Edinburg, has taken in more than 1,000 felines. With adoption centers at both PVAC and The Laurie P. Andrews PAWS Center bursting at the seams, there is a dire need for more foster homes for litters and young orphaned kittens that need to grow. Last week, I joined a group of volunteers photographing the cats and kittens in the intake rooms to help get their faces out to rescue groups. I witnessed this tsunami first hand. The rooms were already full, and by day’s end, 70 more had arrived. And that was just on Tuesday. 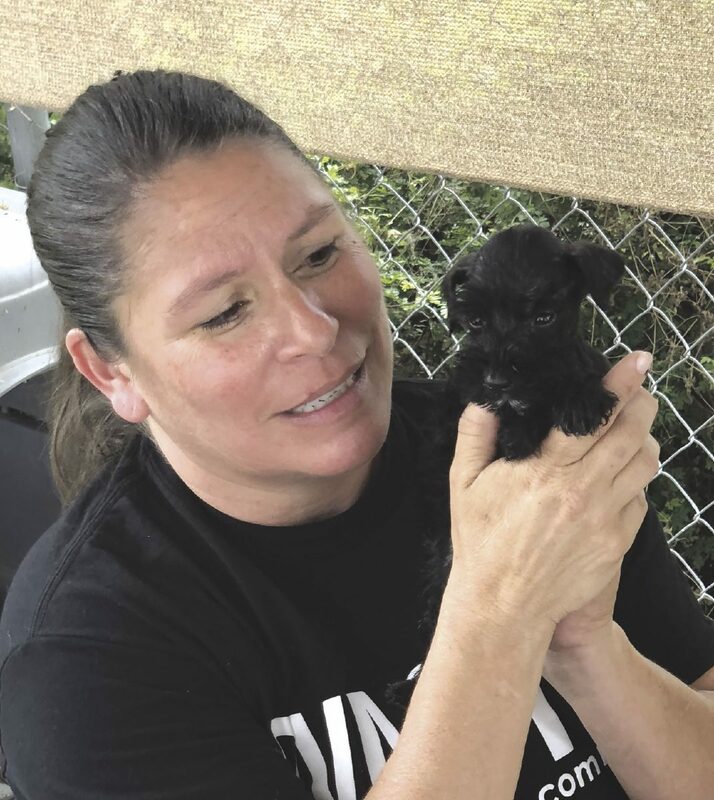 While PAWS has always been a no-kill shelter, its intake entity PVAC, the only open intake facility in Hidalgo County, is making great strides toward a greater live-release rate. On Tuesday, the shelter’s board of directors voted to pursue PVAC becoming a no-kill shelter as well. 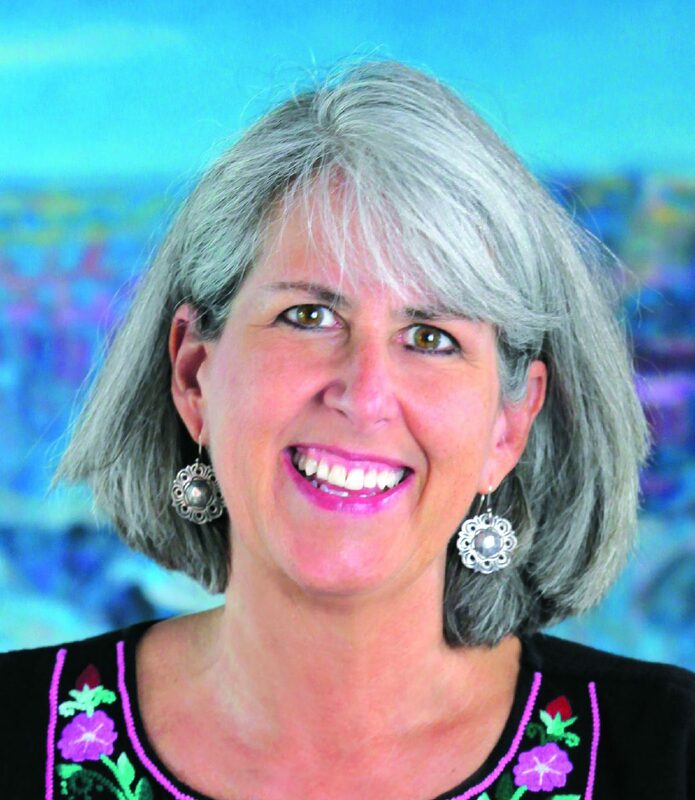 Keely Lewis is a board member of the Palm Valley Animal Center/The Laurie P. Andrews PAWS Center. A cat looks out from a cage at the Palm Valley Animal Center in Edinburg. Adoption of all animals costs $10; kittens are two for $10. Faith Wright, interim shelter manager from Austin Pets Alive!, cares for a puppy at the Palm Valley Animal Center on May15, 2018. Wright has been working with staff of PVAC to help increase the no-kill rate in the RGV. A cat is seen caged at Palm Valley Animal Center on May 15, 2018. To help with that effort, Best Friends Animal Society is funding an interim shelter manager from Austin Pets Alive! During her short time here, I’ve watched Faith Wright work to save as many animals as possible in the face of overwhelming odds, and have realized that many of the lessons learned in a shelter environment like this are applicable to the greater world. Lesson 1: Every life deserves to be treated with dignity and respect. If an orphaned kitten is crying loudly for its mama, Faith patiently bottle-feeds it until it is calm. If a shivering Chihuahua looks terrified by the loud barking dogs around it, she takes it home for the night. She also took home a puppy that couldn’t use its legs due to muscle atrophy from living in a crate. After a few days, he was walking and running. Even a German Shepherd nearing the end of its life was given pain medication, loved on, and put into hospice. Any animal she encounters is better for the experience, and not one is deemed unworthy of the effort. We humans should be so lucky. Lesson 2: Babies need to stay with their moms. Some of the most frustrating things is when kittens are turned in without their moms because someone scooped them up while the mom was momentarily away, or when someone turns in a lactating mom, leaving her abandoned kittens to fend for themselves. Anyone who spots tiny kittens should wait to see if a mom shows up and turn them in together. Babies kept with their moms have a much better chance of thriving. Lesson 3: Actions should matter more than looks. It shouldn’t matter what species, breed, size, or color one is. Consider the much-maligned pit bull. Of all dog breeds, they are by far the most controversial and misunderstood. But owners of these fiercely-loyal dogs sing their praises, and most U.S. shelters now work to place pit bulls into responsible homes. Although PVAC does not adopt them out, some rescue organizations will take them in. Last week, Faith found rescue homes for two pit bull moms and their babies, one in Austin and one in New York. Stereotyping an entire group based on a few bad eggs is never a wise or accurate assessment. Lesson 4: Let wildlife stay in the wild. Even though the main mission of PVAC/PAWS is to care for homeless companion animals (over 32,000 each year,) wildlife continues to pour into PVAC, including hundreds of possums, which Faith also tries to find refuges for. This week, a baby fox and a coyote were brought in and both found a new home at a nearby ranch. Last week, she helped coordinate saving a monkey, named Charlie, which the state had ordered euthanized. With the help of Austin Pets Alive! and the Humane Society of the United States, Charlie lived to see another day. But time spent placing wildlife is time taken away from the hundreds of resident cats and dogs that need homes, too. Lesson 5: It really does take a village. Community action, or rather inaction, created the crisis that Faith and the staff of PVAC face everyday. She and the managers lead by example, personally taking home animals in greatest need every night, with staff members following suit. Board members foster also. But even with a recent increase in staff, fosters, rescues, adoptions and volunteers, not every animal brought in will make it out alive. Hidalgo County, as a whole, is going to have to figure out how to increase spaying and neutering, how to implement programs like Shelter/Neuter/Return that will decrease the overall stray cat population, and where to set up an alternate intake center for wildlife. Lesson 6: Nothing good happens after midnight. This was a favorite saying around my house when my kids were teenagers. It’s true of animal shelters, too. Because animal control officers historically have had unsupervised access to the shelter for drop-offs throughout the night, many sick and injured animals have suffered needlessly and even died before morning. Last week, a litter of newborn kittens was dropped off during the night and would have died within hours if Faith hadn’t stopped by to check the intake area and taken them home to bottle-feed. Lesson 7: Every life deserves a fair chance. A puppy with mange can be transformed in a matter of weeks. An orphaned kitten might thrive with an accepting new mom. Recently, Faith tried to save a premature kitten that weighed only 55 grams. It didn’t make it, but boy, did she try. Working in an animal shelter of this magnitude results in some heartache, over not being able to save the kitten with the leg broken when someone threw it out of a truck, over the tiny black Schnauzer puppy coming in so sick that no amount of effort could save it. But time and again, I’ve watched Faith and staff members keep going, taking solace in the knowledge that the animal lost felt loved and cared for until the end. And although there is still much to be done, and room for improvement, we are seeing success as more people are coming to PVAC and PAWS to adopt pets at the discounted rate of only $10 for all animals, and kittens are just two for $10. A rancher north of town took 30 feral cats from the new Barn Cat program. Last month, the Humane Society of Tulsa took almost 200 cats and dogs back to Oklahoma. American Airlines flew 19 PVAC kittens up to a shelter in Nebraska, and this week, a shelter in California took in 24 puppies. Our live-release numbers have dramatically improved, from just 11 percent in 2012 to 51 percent for the first four months of 2018. Our goal is to be a no-kill facility by 2020. Increased adoptions and spaying/neutering, are the key to the shelter becoming no-kill. Saving these lives is complicated and expensive. But, with compassionate leaders like Faith as our example, we can at least try. They can’t all be saved, but now every animal that comes into PVAC has a fighting chance. A shelter is a reflection of the community it serves, so valuing all lives makes everyone’s future brighter.